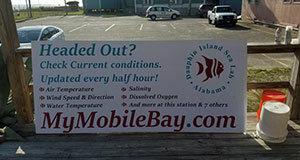 There’s now a sign in Mobile Bay to remind boaters of the valuable resource MyMobileBay.com. 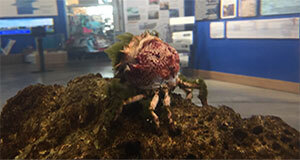 In less than 30 seconds, you can watch the furcate spider crab molt. 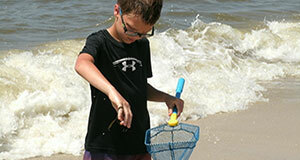 The month of June is dedicated to raising awareness of the health of our oceans and how you can be a leader in improving its future. 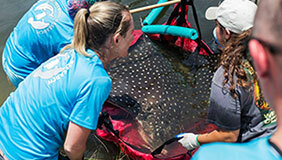 The Alabama Marine Mammel Stranding Network assisted in the rescue and release of a spotted eagle ray on June 19. 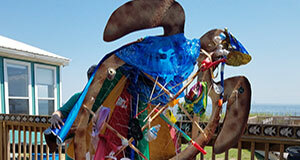 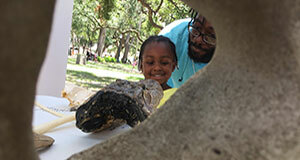 Summer excursions hosted by the Estuarium at the Dauphin Island Sea Lab are filling fast.